I hope your all doing really well? I'm having a major TGIF moment right now and I'm so happy to to have finally sat down for the weekend after a busy and fairly stressful week. I have loads of products I want to review on the blog, so keep an eye out.. especially if you like a good old review haha. A few weeks ago I left my make-up bag at home, but I knew I wasn't going to be returning for three nights to pick it up. I honestly felt incomplete... well only for a few minutes, as I brought myself back to earth and realised it's only make-up haha. Working in the hotel industry means that grooming standards are extremely high, so I headed off to the super market to purchase some beauty bits to keep me going, until I got back home. 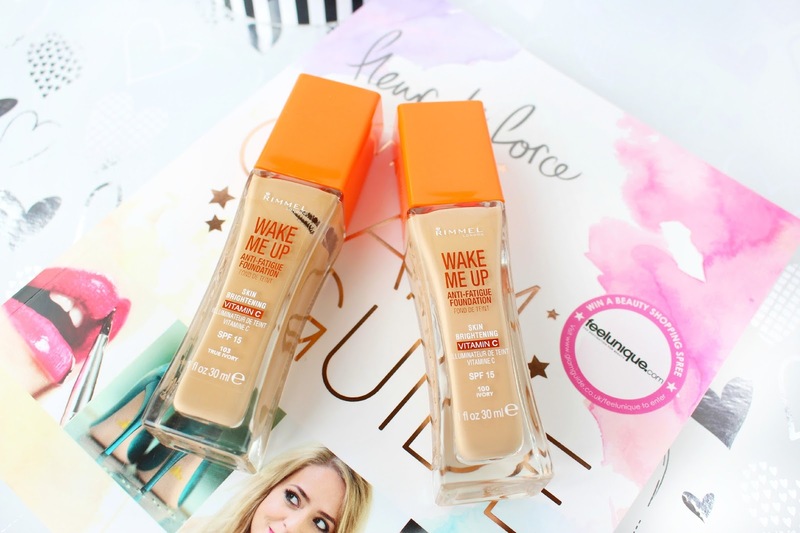 I ended up purchasing the Rimmel Wake Me Up foundation, as it was a foundation I had seen mentioned on many blogs and YouTube channels.. So I thought it was about time I shared my thoughts and also compared it to some of my most loved foundations. I hope you enjoy this post lovelies and I would love to hear your thoughts in the comments section below. Don't forget you can also contact me via my social media icons if you would like a quicker response. 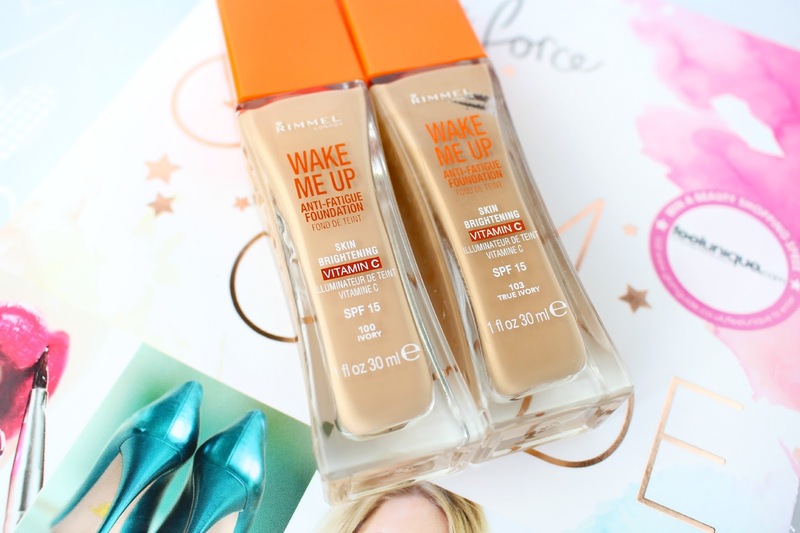 The last Rimmel foundation I tried was the Match Perfection, but it just wasn't my cup of tea. In terms of drugstore foundations I have never really found a foundation that I can genuinely say I love (until now) Don't get me wrong I do like the L'Oreal True Match & Bourjois Healthy Mix foundations, but they have never replaced my beloved Vitalumiere Aqua, NARS Sheer Glow or Bobbi Brown Foundation Stick! The first thing I noticed about the Wake Me Up foundation was the fact it looked quite glittery when I first put it on the back of my hand! Now this foundation may be a bit of a nightmare if your oily, but personally I quite like a glowy foundation... However, I did wonder if this would be a little bit glowy even for me! After a full day at work I was pleasantly surprised to see that my foundation was still in one piece and throughout the day I didn't feel a huge urge to touch up my make-up! I originally purchased this foundation in the shade 103 True Ivory, which turned out to be a little too dark for my winter skin. However, the shade 100 Ivory suits me much better and it's the shade I opt for most days. The thing that made me realise I really loved this foundation was the fact that even when I got home I didn't swap it for any of my other favourite foundations... and I have been wearing it daily ever since. I'm really impressed by how it makes my skin look bright and perky.. and I also feel confident that it's going to last me a full working day! However, a little note to self - don't use it with a brightening primer, as by the end of the day you will be a glitter ball. I have been setting this foundation with a semi-matte powder, which keeps it at bay without completely taking away its gorgeous luminosity. Overall, I'm really impressed with this foundation! It has a nice light/medium coverage with a real brightening effect, which lasts all day! However, if your more on the oily side I would probably give this a miss, as it does have shimmer, which could work against a more oily complexion. I also think that the shade selection could be improved, but overall I honestly can't fault this foundation. I hope you enjoyed this review lovelies and I would love to hear your thoughts in the comments section down below. Have you tried this foundation? I'm sure the concealer would be great too! DUDE YOUR BLOG. You're improving so much, its beautiful. I'm pretty sure I've tried this, but unfortunately I picked up the wrong shade! I quite liked the formula though. I would definitely feel incomplete if I left my makeup bag at home for 3 days!